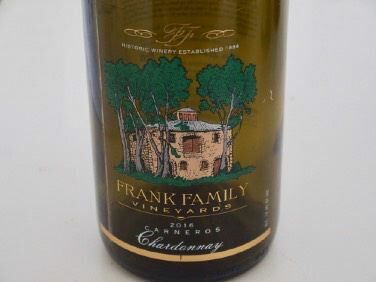 Frank Family Napa Valley Chardonnay is the number one wine sold by the glass at restaurants according to the latest Wine & Spirits 29th Annual Restaurant Poll. The average restaurant price is $21 per glass. The foundation for this wine is Frank Family’s Lewis Vineyard, located in the heart of Napa-Carneros, near the shores of San Pablo Bay. The vineyard is made up of 78 acres planted on gently rolling hills with 68 acres planted to Chardonnay and 10 acres planted to Pinot Noir. Marine influence of the Pacific Ocean creates cool temperatures, fog and wind. The restrictive soils are primarily shallow and dense clay loam, receiving only 20 inches of rainfall annually, resulting in extremely low yields. Other fruit sources for this wine include Beckstoffer Vineyards and Hudson Vineyards located in Napa-Carneros and Sangiacomo Vineyards located in Sonoma- Carneros. Visit www.frankfamilyvineyards.com to acquire the wine. 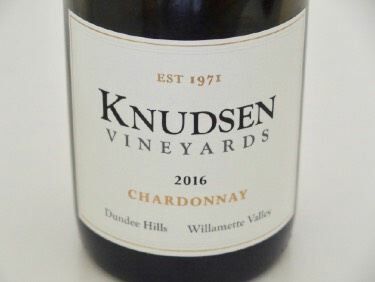 Knudsen Vineyards has announced their forthcoming release of the limited production 2016 Knudsen Vineyards Dundee Hills Oregon Chardonnay. The wine has already received recognition as a Gold Medal winner at the San Francisco Chronicle 2018 Wine Competition and as one of the featured wines at the recent Oregon Chardonnay Celebration. Established in 1971, Knudsen Vineyard is one of the oldest vineyards in Oregon. The Knudsen family has been farming grapes at this location for 45 years and the earliest currently producing vines were planted in 1974. The Knudsen Chardonnay is consistently one of my highest rated Oregon Chardonnays and a personal favorite. Visit www.knudsenvineyards.com. Sarah’s Vineyard is celebrating 40 years in the historic Santa Clara Valley appellation. The winery was founded in 1978 by a group of four wine enthusiasts led by Marilyn “Sarah” Otterman. Thursday, May 10, will be recognized as “Sarah’s Vineyard Day,” with tributes from local, state, and federal officials, as well as the unveiling of historical displays and special activities at the winery. On this same date, an Estate Chardonnay will be released as the winery’s official 40th-anniversary bottling. Current proprietor and winemaker Tim Slater manages the 28-acre property in the cool climate “Mt. Madonna” district of the southern Santa Cruz Mountain range. Tim in his former life has been a DJ, a musician, and a successful “micro-machining” engineer with many patents to his name. At Sarah’s Vineyard, he is able to channel both is inner “mad scientist” and his artistic side to grow and produce Pinot Noir, Chardonnay and Rhone varietals. The popular Sarah’s Vineyard Tasting Room is open daily on Hecker Pass Road, just outside of Gilroy. A number of excellent Sarah’s Vineyard Pinot Noir wines have been reviewed in the PinotFile over the past few vintages. Sarah’s Vineyard online home is www.SarahsVineyard.com. AldenAlli is a new label that is a product of a partnership between Dan and Allison Kosta (of famed winery Kosta Browne) and Emeril and Alden Lagasse. The name reflects the names of Emeril’s and Dan’s spouses. The 2013 AldenAlli Sonoma Coast Pinot Noir is sold through a mailing list at www.AldenAlli.com, in Lagasse’s restaurants and in select major markets. The key grape source for the AldenAlli Sonoma Coast Pinot Noir is Campbell Ranch, located at 750 feet elevation in the Annapolis area of the Sonoma Coast. The 15-year-old vines grow on sandy, low-vigor Goldridge soil that reduces yields to barely two tons per acre. The winemaker is Shane Finley, who was formerly an assistant winemaker at Kosta Browne for many years and most recently the winemaker at Lynmar where he still consults. 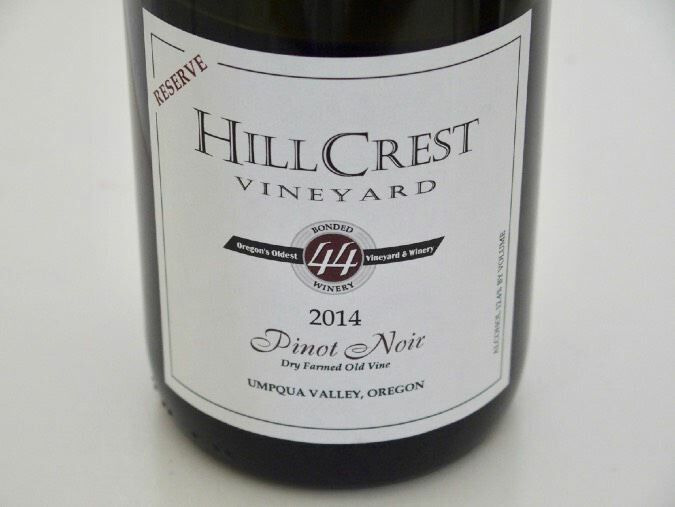 HillCrest Vineyard celebrated the 50th Anniversary of the first Oregon Pinot Noir bottling in 2017. It has been fifty years since Richard Sommer’s reputed first commercial bottling of Oregon Pinot Noir under the Hillcrest Vineyard label from the Umpqua Valley. This occasion is not definite, as Sommers first planted vines in 1961, and my past research indicated that it was not clear that Pinot Noir was planted initially or subsequently, since Sommers also planted vines in 1962, 1963, 1964 and 1968. Also, Sommers probably bottled Pinot Noir as early as 1963 or 1964 but it is unclear if those bottlings were experimental or commercial. Maureen Flanagan Battistella, writing a recent Oregon Wine Press, stated that Sommers brought cuttings from Louis Martini’s Stanly Ranch in 1959 and subsequently transplanted them at Hillcrest. She states the original plantings in 1961 included about 340 vines of Pinot Noir. HillCrest was bonded in 1963 and is Oregon’s oldest continuously operating estate winery. Since 2003, the winery has been owned by Dyson and Susan DeMara with Dyson crafting the wines. A 2017 vintage commemorative bottling of 1968 old vine HillCrest Vineyard Pinot Noir will be released in 2019. Visit www.hillcrestvineyard.com. The two wines reviewed here are unique, even unusual, and seem to reflect a Martini clone fruit profile.